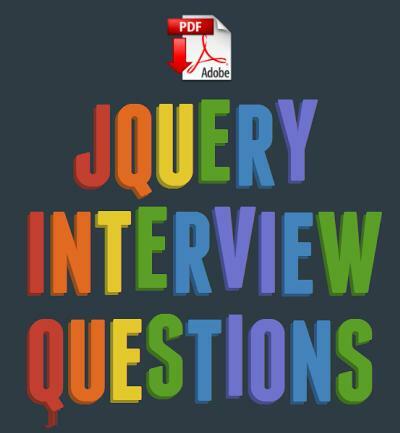 Free eBook to download jQuery interview question and answers in PDF format. These are the question which You'll Most Likely Be Asked in an interview. This is a same list which few days ago, I had posted about Latest jQuery interview questions and answers and the response was quite good. So now you can also download the questionnaire in PDF format.